Your organization has a strategy, whether your board of directors knows it or not. That strategy may be the result of a well-thought-out SWOT analysis and subsequent strategic plan—or it may be the total absence of any strategic plan. Yet, having no strategic plan is a strategy in and of itself. It’s just not a very good one. Your organization should have a strategic plan that’s based on input from key stakeholders, visionary leadership from your board, and an organizational commitment to achieving specific goals. Here are a few things you can do to create the strategic plan your organization needs. 1. Get the right people around the table. While your board of directors and senior staff leadership should drive the strategic planning process, it’s important to have other perspectives around the strategic planning table. Before starting strategic planning, you should have some objective data showing customer, member, or other outside stakeholder perceptions and feedback. Similarly, if your organization is large enough to have employees, you should include their insight. Or, even better, include those employees in the development of the plan. One of the worst outcomes of a non-inclusive strategic-planning process is a document that feels like it was authored by individuals who have little-to-no idea of how the plan would impact customers, members, or employees. A visionary but ultimately unrealistic plan will sit on a shelf. And a plan that sits on a shelf is no plan at all. 2. Begin with a SWOT analysis. Most successful strategic planning sessions begin with a SWOT (strengths, weaknesses, opportunities, and threats) analysis. A SWOT analysis allows your organization to get a better understanding of its competitive landscape, and helps you build on strengths and opportunities while minimizing or eliminating weaknesses and threats. Including diverse perspectives is extremely important during the SWOT-analysis phase of strategic planning. It’s far too easy for your board of directors to fall into groupthink, which can blind your organization to both opportunities and threats. Having the right people around the table is important—but technology can help facilitate a good SWOT analysis. That’s why BoardPaq is proud to be the only board portal with a unique SWOT-analysis tool that will help your organization create the strategic plan you need. Hopefully you’re fortunate enough to have a board of directors with visionary goals and big aspirations for your organization. If you do have directors like that on your board, consider yourself lucky. However, directors with visionary goals can sometimes bite off more than your organization can chew. When developing your strategic plan, you need to balance your aspirations with reality. One way to do that is to create SMART (specific, measurable, achievable, realistic, and timely) goals. Having SMART goals isn’t just good strategy—it’s also a momentum builder. A board and staff that sets then achieves goals helps create an organization that believes in itself. Brainstorming big visions and audacious goals is great. But achieving a SMART goal is even better. 4. Make your strategic plan a living document. Too often a strategic plan goes straight from the final planning session to the CEO or Executive Director’s shelf, where it sits collecting dust until the next round of planning. Which means that the planning session(s) and all the effort, time, and expense invested in the plan were wasted. Don’t do that. Make your plan a living document. Incorporate a strategic-plan update into your board meetings to demonstrate progress toward achieving your SMART goals. Additionally, use your strategic plan to evaluate new opportunities. If a once-in-a-lifetime opportunity presents itself, go ahead and adapt your strategic plan, but some organizations and boards of directors tend to get distracted easily. Strategic plans can be used to justify saying “no” to new opportunities in a way that lessens the risk of alienating supporters of the new program or idea. Every organization needs a strategic plan based on an inclusive SWOT analysis and the ability to continually evaluate that strategy. 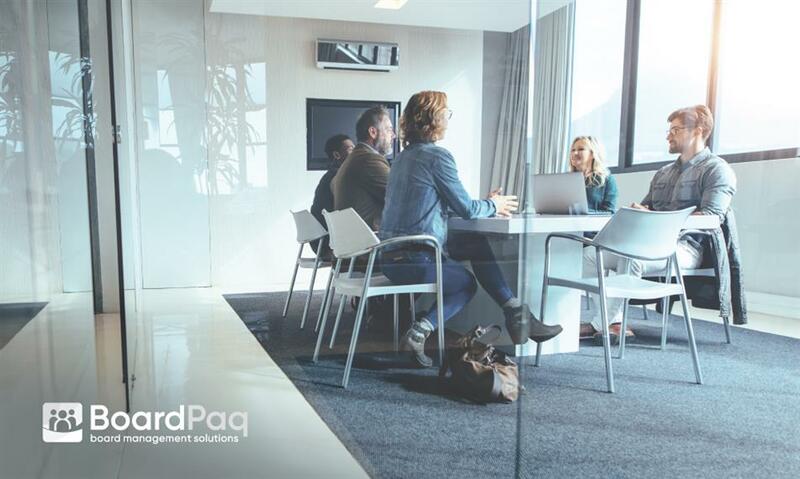 In addition to being the only board portal with a built-in SWOT-analysis tool, BoardPaq’s Meetings and Forms features also allow users to create and distribute customized strategic plan updates. These features and more are available in the most affordable and value-added board portal available to cost-conscious organizations. That’s why so many trade associations, rural cooperatives, economic development agencies, credit unions, community banks, and colleges and universities use BoardPaq to run efficient, paperless board meetings as well drive their strategic planning using BoardPaq’s SWOT- analysis tool.